Wheatus, Lenny Kravitz, Slash feat. Chris Cornell, Peal Jam, AC/DC and more. 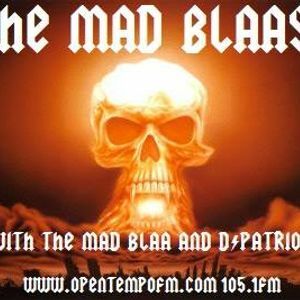 In a shorted show, due to me accidentally hitting the stop record button on the internal stream, D&apos;Patriot rejoins The Mad Blaa in the studio! As a thanks you Wheatus, who gave us a plug on Twitter to their 100,000 followers earlier in the week, we start and finsh up with two from them. It might be 50% the show but it&apos;s still 100% brilliant music, enjoy!